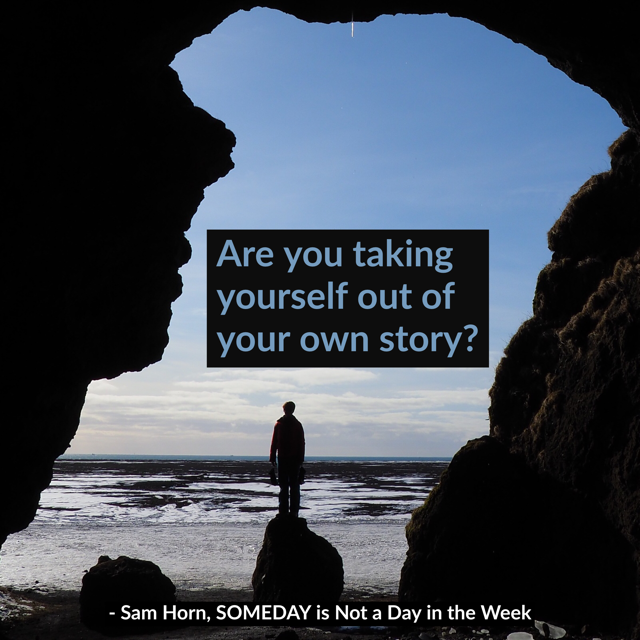 I think this is one of the most important epiphanies we can have - that the stories we tell ourselves determine the quality of our life. So, what are we saying to ourselves? That we don't have time, that life is "hard," that no one appreciates us, that the world is going downhill fast?" Or, that we have all the time we need, that life is a blessing, that I appreciate my loved ones, and that every day is an opportunity to create a positive difference? Next time you tell yourself something negative, ask, "Is that true or is that just a story I'm telling myself? What story do I WANT to tell that will help create the world I WANT to see and be?"